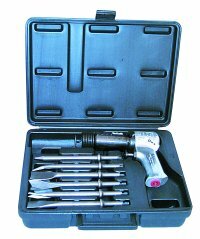 We provide high quality air tools and air compressors backed by manufacturer warranty. 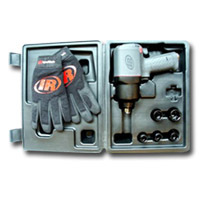 The air tools, air compressors, and pneumatic tool accessories that we provide are manufactured by Ingersoll-Rand and other quality name brand manufacturers such as Clarke, Mountain, Florida Pneumatic, Amflo and others. Air tools are lighter than electric tools. Air tools don’t need their own motors; this is why they are smaller, lighter, and easier to maneuver than electric tools. Air tools are more powerful than electric tools. Pneumatic tools are more versatile than electric tools. The Ingersoll-Rand® brand name, company name, and the IR logo are trademarks of the Ingersoll-Rand Company. This website is owned and operated independently of the Ingersoll-Rand company. All images on this website are for display purposes only. Actual product design may vary. UPS, UPS brandmark, and the Color Brown are trademarks of United Parcel Service of America, Inc. All Rights Reserved. FedEx is a registered trademark of Federal Express Corporation.